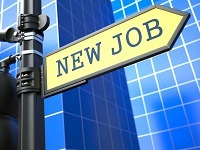 Has your job search hit a brick wall or are you very dissatisfied with the way your job hunt is going? Were you recently fired and now worry about what to say to prospective employers? 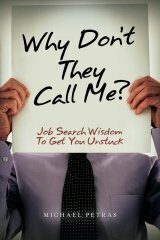 Perhaps you have already read several worthy books about job hunting, or visited numerous websites. But no matter what you do…nothing seems to work. Somehow, Murphy showed up at your door, plunked himself down in your favorite easy chair, grabbed the remote control, and just won't leave. My book is a culmination of over twenty years of direct hiring experience as an executive recruiter and a regional sales director for a Fortune 500 company. It contains cutting edge ideas and actions steps that will work for you on both an intellectual and emotional level. You need equilibrium on both levels to enhance your job search prospects. You'll get the most out of my job search strategy if you stick to the plan and follow my step by step process. Avoid skipping ahead or only reading those sections of greatest interest to you. Above all, do the action steps, even if they are uncomfortable for you. The idea is for you to get outside your comfort zones. You may come to a section where you say to yourself, “I already tried that and it didn’t work for me.” Give it another chance, as I could share some critical information with you that will result in a completely different outcome. Bonus: Job Interview Checklist - 52 MUST DO items with handy direct links to in-depth articles on my website to insure nothing slips through the cracks (things to bring - information to gather - post interview musts). The fear, anxiety—or shear panic—of not knowing what more you can possibly do to find a job...especially after you’ve made a valiant effort to find one. The inability to shrug off the pain of rejection and indifference. Putting up with a lack of common courtesy from hiring authorities, gate keepers, and past associates. Enduring unrealistic expectations of spouse, family members, and extended family. Coping with the negative influence of the news media and other macro-trends. Letting go of the past, embracing change, and developing optimism for the future. Lacking time management discipline since no one is holding you accountable anymore. Trouble breaking the chains of inaction and bad habits. Worrying about things you have no control over. Struggling with procrastination and risk avoidance. Ever witness a great baseball player in a batting slump? Batting slumps are extremely frustrating and humbling for a world-class athlete. Almost every ball player goes through a slump at some point during their career. A player often tries to pull himself out of his slump by swinging the bat harder, going after inside pitches, changing his stance in the batter's box, choking up on the bat, or numerous other adjustments...usually to no avail. The harder he tries to turn things around, the worst the batting slump gets. He keeps looking for that one thing that will make it all work for him again. This is why professional baseball teams have batting coaches on their staff. Batting coaches observe the ball player in an analytical, unemotional way, and bring into equilibrium all the little things a batter must do to hit the ball—and most importantly—control where it goes. My job hunting expertise will be of tremendous value to you at this sticking point in your career. As of this moment, I’m your batting coach. You simply need a fresh set of eyes to help you hit some singles and doubles. I pledge to you my best work in helping you get your career back on track…really fast.